Local pick-up and delivery to and from all of the Las Vegas convention centers and hotel facilities. 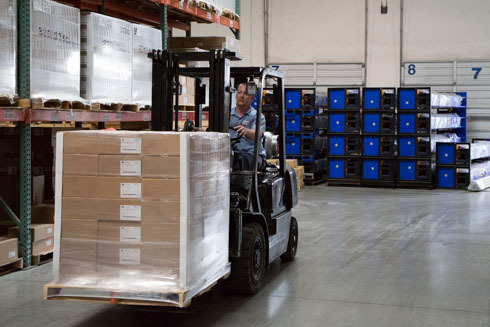 We offer short and long-term storage for your exhibition materials and other convention freight with advanced warehouse management systems to assure timely and accurate delivery of your exhibition materials. We have the facility, equipment, technology, experienced personnel, and most importantly we have the commitment to exceed our client’s expectations.